Unless you already know how your cake is going to look like, you will need some time to shop around, book the creator, find special decorations and allocate the funds. If you are having a summer wedding, it is important to book the cake maker in advance, due tot the fact that they are in high demand during this season. When you are planning a wedding checklist, make sure you set specific date targets for important details like the cake, so you do them on time, without rush and stress. That is how you ensure everything will be as you expect it, and as it should be on your special day. Before you start looking for the best wedding cake designs, you need to decide how much you want to spend. Comparing the prices of various vendors will give you an idea about the market, so when it gets down to the moment of choosing the baker you can ask for quotes, compare them with others and even ask for discounts. Although your wedding theme might require a certain type of wedding cake, it is important to find one in line with your preferences. Researching wedding cake designs will help you choose the best option. Consider looking at research resources such as wedding magazines, specialized websites, old family photos (especially if you want a traditional wedding) and baker’s displays. 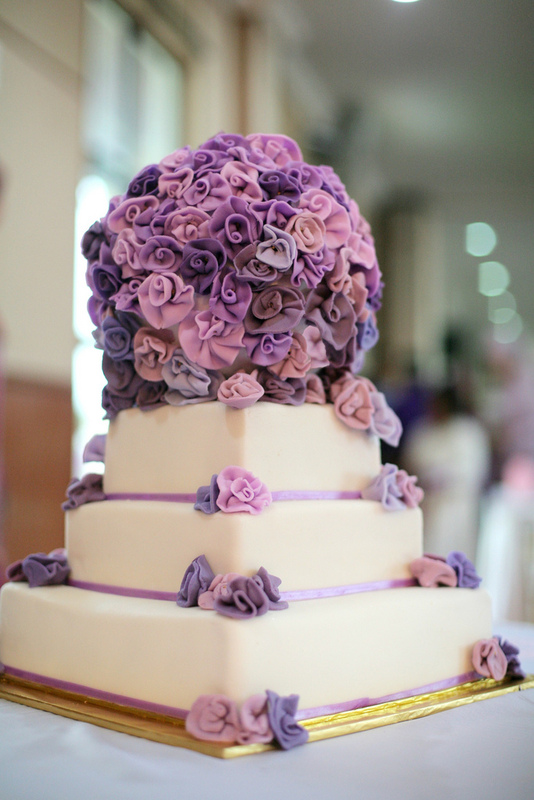 Select a few caterers and bakers who specialize in wedding cake designs and fit your budget. Ask them to show you their portfolios of cake ideas and previous photographs of their creations. Take your time to compare different specialties and styles. Ask the designers for demonstrations of decorative elements such as flowers or writing if you are not sure how they will look. Before you decide on a cake, you will need to know if it has the right flavor and texture. Most bakeries offer a selection to taste from. Choose the baker you like most and keep working with him regularly to improve and adjust the cake. Tell the baker how many people will be attending the event and what is your wedding theme. Let him know if you intent on providing any of the decorations and if you have certain design wishes. After you decide which creations you like most, discuss your own ideas with the baker to see if they are possible. You can draw your own wedding cake designs and ask the baker to do them. Choose the decorative aspects such as shape, color, size and be very clear on the budget and number of participants. If you cannot afford the designs you want, your baker should be able to advise you on something more reasonable.